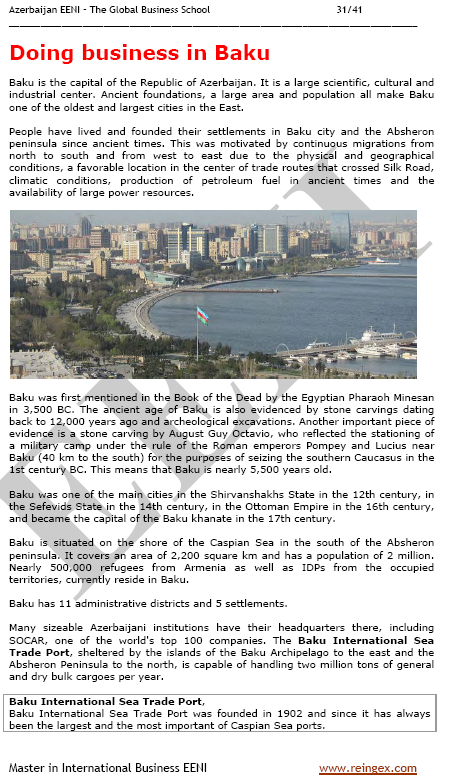 Syllabus of the Online Course (Subject): Central Eurasian Economic Area of Islamic Civilisation. 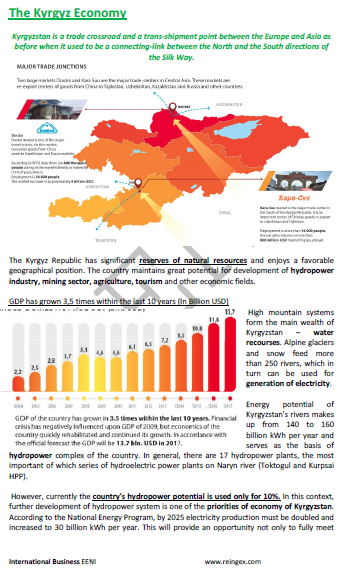 The Central Eurasian Economic Area consists of eleven countries: Afghanistan, Azerbaijan, Albania, Iran, Kazakhstan, Kyrgyzstan, Pakistan, Tajikistan, Turkmenistan, Turkey, and Uzbekistan. 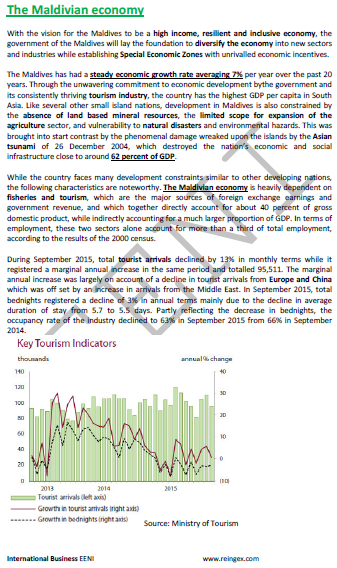 Furthermore, Bangladesh and the Maldives are included because of their growing economic integration in the region. 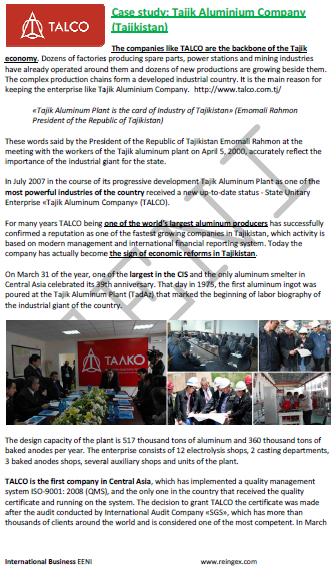 The main business people in Central Eurasian Economic Area are Muhammad Yunus, Mian Muhammad Mansha, Salman F Rahman, Dewan Yousuf Farooqui, Muhammad Abdul Mannan. 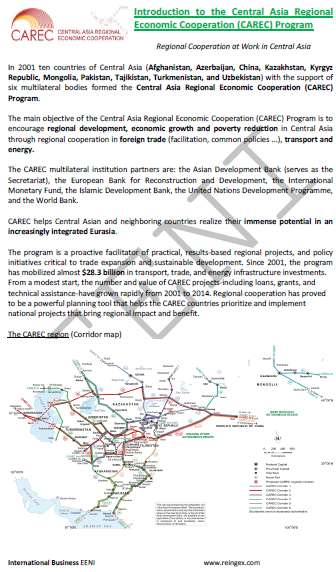 integration in Islamic Economic Area of Central Eurasia. 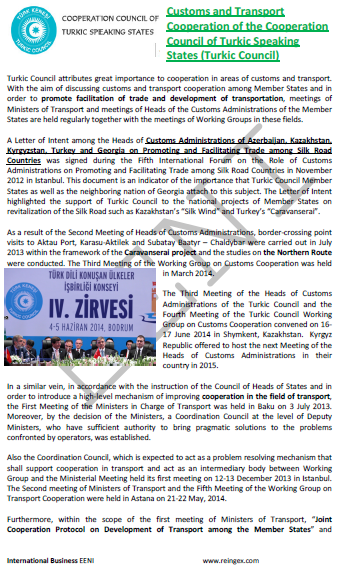 Afghanistan, Azerbaijan, Kazakhstan, Kyrgyzstan, Tajikistan, Turkmenistan, and Uzbekistan do not yet benefit from the Trade Preferential System of the OIC. 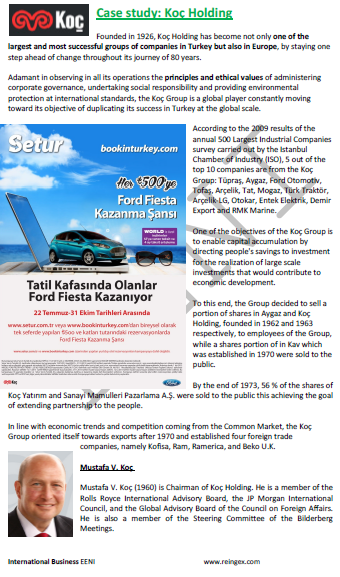 Trade Agreements and economic Institutions covering all economic areas of Islamic Civilisation. Economic Organisations related to Central Eurasian Economic Area. All the countries in the region are beneficiaries of the Arab Development Funds. 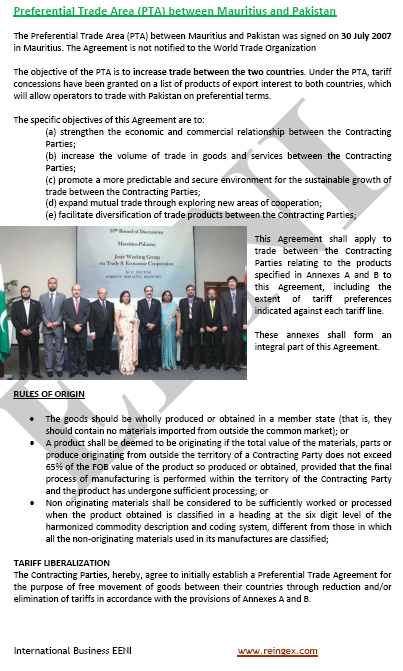 Pakistan has a draft free trade agreement with the MERCOSUR. Interactions of the Central Eurasian Economic Area of Islamic Civilisation with Sinic Civilisation. 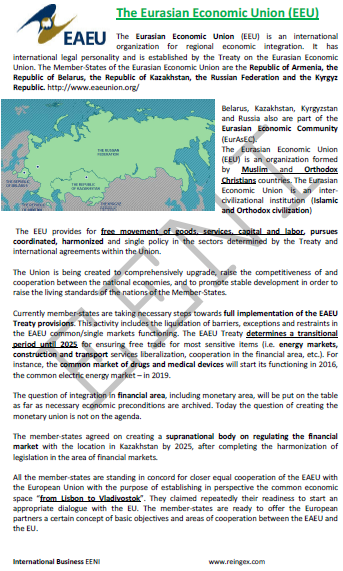 Inter-civilisation Agreements of the Central Eurasian Economic Area.